I first posted this recipe over three years ago. I’m sharing it again because 1) biscuits are timeless and awesome, and 2) I have much better photographs this time around. I failed at buttermilk biscuits for years. This grieved me. This recipe, finally, is the one that has repeatedly produced lofty, flaky, perfect biscuits. The trick is to keep small chunks of butter throughout the dough. That’s what makes flaky layers. Most of the pieces should be pea-sized, and somewhat flat. For that reason, I will start mixing everything together with a big spoon or pastry cutter, but by the end I use my fingers. Biscuits are important within my family. My dad’s from Alabama. My husband’s family has Arkansas roots. 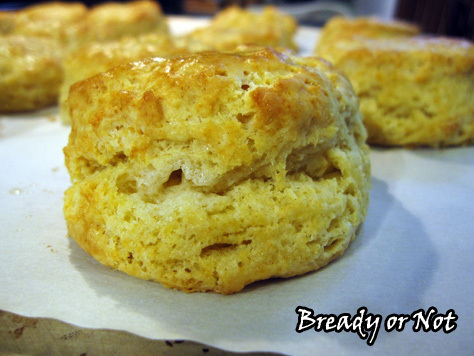 Most meals come with a side of bread, and you can’t get more southern than baking soda-leavened biscuits. I never keep buttermilk around, but instead rely on sour milk. I have also made these using buttermilk powder and water. 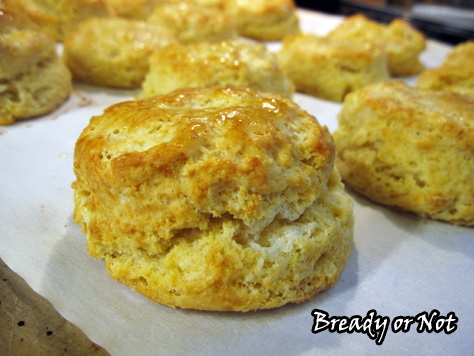 The biscuits taste the same with every method–DELICIOUS. 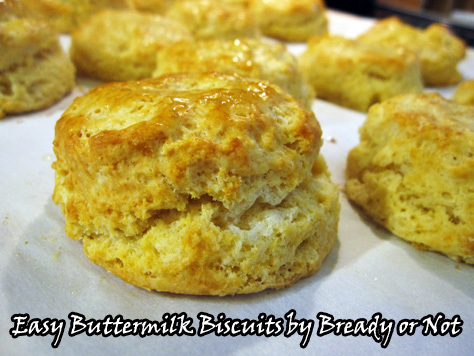 These easy biscuits are perfect for morning or night! For the buttermilk, you can substitute sour milk (add a tablespoon of lemon juice or vinegar to milk or half & half, let sit about 10 minutes until it curdles) or buttermilk powder (follow package directions). This will produce a large baking sheet of biscuits. 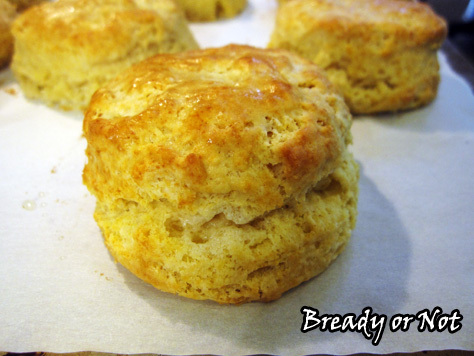 Baked biscuits can also be frozen. Preheat oven to 450-degrees. Prepare baking sheet by lightly greasing or using parchment or baking mats. Combine the dry ingredients: flour, baking powder, baking soda, and salt. Gradually cut the butter into the flour mix, using a pastry blender or forks until it's down to pea size. Add the buttermilk and combine until it just comes together. Don't overwork it! The butter needs to stay in small lumps; that creates the flaky layers. It's often best to use fingers to mix at the end. Lightly flour about a square foot of counter. Press the dough out to be about an even 3/4-inch thick. Use a 3-inch round biscuit cutter to punch out shapes and place on baking sheets. Brush a little bit of milk on the biscuits. Bake for 12 to 15 minutes or until they turn golden brown. Remove from oven and immediately brush melted butter on the tops. If you’re working on a book and aiming at the traditional publication route, acquiring a literary agent feels like the key to make all your dreams come true. An agent can submit the Big 5 Publishers, after all, and from there your book can be made available anywhere and everywhere around the world. The thing is, real life isn’t like a book. After you sign the book deal and work to make your novel all shiny, your life is not emblazoned with a bold THE END. (At least, I sure hope not!) Life goes on. As you write more books and develop more of a relationship with your publisher–or publishers–it means a lot to have a staunch advocate working to better your career. Here’s what an agent might do beyond reading the fine print on your contract. The publishing world is small. 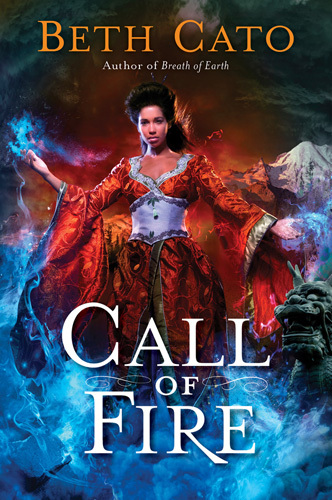 As readers and authors, we hear some news about deals and see the new releases, but agents follow the pulse of the industry and know about the books that will be out in a year, two, three years. That’s why an agent might love a manuscript that lands in their slush pile, but they might not pick it up–there might be a glut of similar books that are already signed and in the publication process. Not all agents edit. Not all authors want an agent who edits. My agent edits and I love her for it, even though her feedback is brutal at times. Not only is she great at critiquing, but–to return to the first point–she knows the industry and what makes a book strong or weak in this particular market. That’s insight beyond what I can get from my fellow authors. When you establish a relationship with a publisher, agents become this wonderful buffer between author and editor. They get to nag on your behalf. They get to email/phone and pester about late manuscript edits or financial statements or book cover progress. That doesn’t mean agents handle ALL interactions with your editor. A lot of day-to-day interactions are directly between editor and author, but agents are there to call on when things get awkward. Some agents work with authors on a book by book basis. Others make a pact for the full career of the author, and that’s the kind of relationship I have. Here’s the thing: the book industry is weird. Your book might not sell. Editors come and go. Imprints fail. Publishers are bought-out. A supportive agent looks beyond the book you’re working on now, and on to the next series, or a new series. Again, they see the trends. They see what is selling–or not. I rely on my agent’s business savvy to guide me along. Writing is my happiness, my joy. Sometimes, it is also a particular kind of hell. My agent is there to talk me off the ledge. She’s not just a cheerleader, she’s a superhero, cape and all. Agents are there for the good times (book deal, whoo hoo!) and also the bad times: when rough drafts stay particularly rough, when deadlines are zooming by, when the publisher is supporting about as well as a ten-year-old bra. 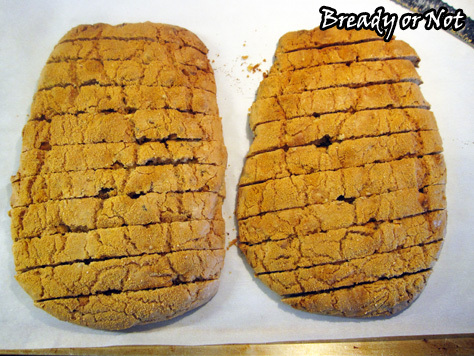 Back in May, I posted my Snickerdoodle Biscotti recipe. 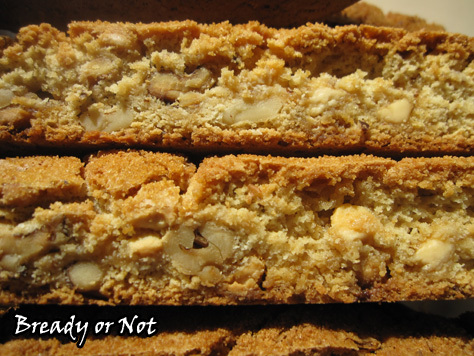 This is the next installment: Maple-Walnut White Chocolate Biscotti, modified from a King Arthur Flour recipe. I first made this following the original version pretty closely. I received feedback that it was good, but it was also way too nutty. Clearly, I needed to rewrite the recipe and make it work. 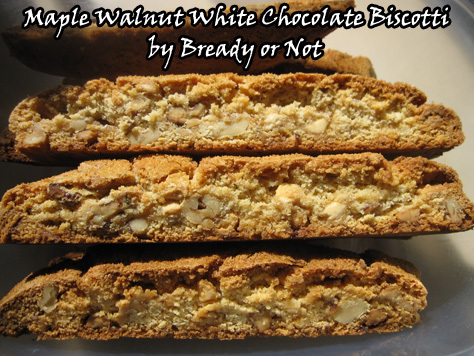 I decided to halve the walnuts, and replace that half with white chocolate chips. This time, I received feedback that they were the most awesome biscotti ever. In a single bite, it’s easy to see why. The maple flavor is great, the walnuts add a wonderful crunch within the already-crunchy dough, and the white chocolate adds sublime sweetness to bring everything together. Since these are biscotti, they will keep well, sealed, for weeks. That makes these great for mailing (though perhaps not in the middle of summer, as there is some chocolate in these) or presenting as gifts. As I noted before, homemade biscotti cannot be compared to the store versions, which could be used as billy clubs to defend households against burglars. 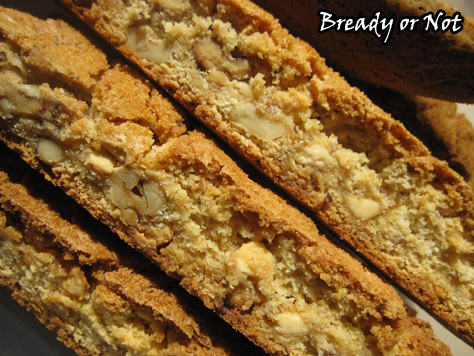 Homemade biscotti are crunchy but still chewy… and, of course, taste best if dipped into coffee or tea. These twice-baked cookies bring together maple, walnuts, and white chocolate in glorious cookie-stick form. Eat these dipped into your hot beverage of choice. Biscotti will keep well for weeks. Adapted from a King Arthur Flour recipe. Preheat oven at 350-degrees. Line a baking sheet with parchment. Toast the walnuts for about 8 minutes, until they're light golden brown and smell toasty. Set them aside in a bowl to cool, but keep the parchment on the pan. In a large bowl, beat together the eggs, sugars, maple syrup, and maple flavor. Add the melted butter, and beat until smooth. Mix in the flour, baking powder, and salt. Add the walnuts next, followed by the white chocolate chips. 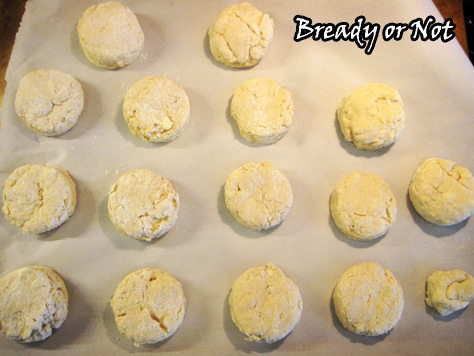 Divide the dough in half on the prepared baking sheet. Form each into a log about 4 inches wide and 10 inches long; make sure there is space between the two logs, as they'll grow in the oven. Sprinkle maple sugar or turbinado sugar over the tops of both logs. 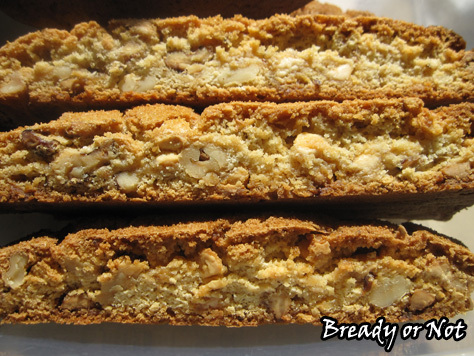 Bake about 30 minutes, until the biscotti is lightly browned with small cracks forming across the top. Remove the baking sheet, but be sure to leave the oven on. Let the biscotti cool for 10 minutes. Use a large knife, such as a bread knife, to diagonally slice the logs 1/2-inch apart. Use a straight-down motion to cut; don't saw. Arrange the biscotti spaced out on the baking sheet. Stand them up if possible, or lay them on their sides. Bake for another 20 to 25 minutes, flipping them over halfway if necessary, to equally crisp both sides. Cool completely on the baking sheet. Store in an airtight container as long as a few weeks.